The following video was done in our St. Louis Tech Center. 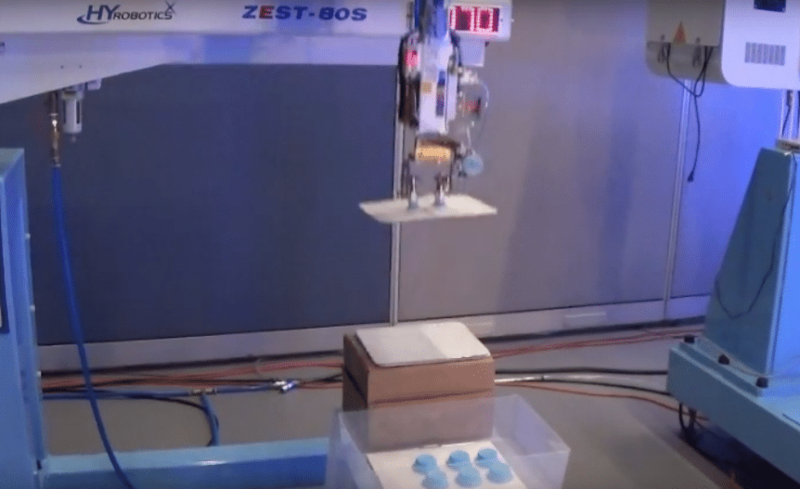 We are demonstrating how to stack a product with a divider between layers using a HYRobotic’s robot. The Tech Center has five Robots and two sprue pickers on stands under power. If would like to visit the facility contact George or Andrew and we would be glad to show you the facility and demonstrate our product.